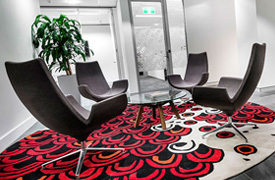 On 11 April 2019, the Australian Law Reform Commission (ALRC) released its report into Family Law Reform entitled ‘Family Law for the Future: An Inquiry into the Family Law System’. Anglicare WA runs a specialist program for separated parents called ‘The Mums and Dads Forever Program’. The purpose of the program is to assist separated parents to better co-parent children and develop their perspective of the separation from the child and other parent’s point of view. Does Telling Someone You’re In A De Facto Relationship Mean You Actually Are? Statements made by a party to third parties or government organisations (most commonly Centrelink, the Australian Taxation Office and the Department of Immigration) which contradict their evidence to the Family Court may not be fatal to their application for a finding of de facto relationship status. Put simply, telling someone you’re in a de facto relationship doesn’t mean you are (and vice versa). This situation arose in Benedict v Peake  FCCA 332 when a de facto wife who had previously asserted to Centrelink and the Australian Taxation Office she was not in a de facto relationship now sought to lead evidence before the Court that a de facto relationship had in fact existed for 17 years. Can video recordings be treated as wills? 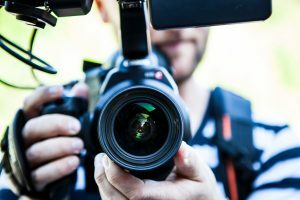 The Supreme Court of Queensland recently ruled that a video recording can be a valid will within the meaning of S18(2) of the Succession Act 1981 (QLD). It has long been established that a valid will needs to be in writing, signed by the will maker and two witnesses at the time of making the will. The will maker must also have the mental capacity at the time of making the will to understand the nature and effect of the will. The will maker and witnesses must be over the age of 18. In this case the deceased purchased a motorcycle. His partner implored him to make a will prior to picking up the bike. In his own words, the deceased was “too lazy’ to make a will so made a video recording leaving everything to his girlfriend. In the recording, the deceased said he would “fill out the damn forms later”. In the video the deceased made it clear nothing was to go to his soon to be ex-wife. The deceased crashed his bike later that day and suffered serious injuries. He died 14 months later. As a result of his injuries he never did fill out the “damn forms”. The partner of the deceased applied for orders that the video recording was a document that formed a will within the meaning of the Qld Succession Act, because it purported to state the testamentary intentions of the deceased and he intended the recording to form his will. The application was opposed by the deceased’s former wife. The Supreme Court held that the video was a will for the purposes of the Succession Act. In its reasons the Court held that the video was a document within meaning of s18(2) of the Succession Act 1981 (QLD). The court then assessed whether the video recording should without more operate as the deceased’s will and found that that was the case. His intention was to make a will before he picked up the motorcycle, and he said on the recording that it was made and the dispositions said by him made “if anything was to happen to him”. Although this case was successful and the video recording was held by the court to be a valid will, significant legal costs were no doubt incurred by both parties, ultimately diminishing the funds in the estate. The outcome was also very much dependent on the particular words used and the outcome may be different in other cases. The costs of having wills properly drawn up by a legal practitioner are far less compared to the significant legal costs incurred in bringing an application to the court to establish an informal document is a valid will. One should not be persuaded to follow the path to freely make wills that are not in conformity with the formal requirements of the legislation. Contact Culshaw Miller Lawyers today for more information. The Attorney-General for Australia announced on 25 October 2018 that the Federal government will be amending the Family Law Act 1975 to enable de facto couples in Western Australia to ‘split’ their superannuation entitlements in property settlements following a separation. This is welcome news to the Family Law Team at Culshaw Miller Lawyers who have long been concerned about the inequity of the current legislation to separated de facto couples in WA. Currently, unlike separated de facto couples in other States, separated de facto couples in WA are unable to split their superannuation entitlements to achieve a fair and equitable property settlement. The outcome of the current legislation has meant that a party in a de facto separation in WA may have retained an inequitable portion of the ‘cash assets’ of the relationship due to the other party having greater superannuation entitlements. The media release from the Attorney-General has indicated that necessary legislative amendments to effect this change will be dealt with as soon as possible to allow separated de facto couples in WA to split superannuation. 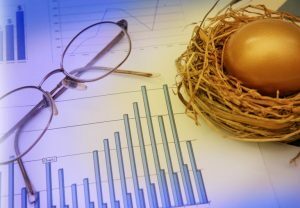 Should you have any queries about how the new superannuation splitting laws may affect you, one of our experienced family lawyers at Culshaw Miller Lawyers will be pleased to meet with you to discuss the same. Can I Lodge A Caveat Over My Ex’s House To Protect My Interest? You have separated from your partner, and discovered the property you resided in together and purchased during your relationship is registered in your former partner’s sole name. Can lodging a caveat protect your interest in the property and prevent your ex from selling it? In Western Australia, caveats may be registered against a property’s Certificate of Title to prevent certain dealings in the land. It may also notify members of the public of the caveator’s interest in the land. The individual, company or entity lodging it is called a caveator. A caveat preserves and protects the rights of the caveator. It is similar to an injunction, as it restrains a person from selling, encumbering, disposing of or dealing with land. It prohibits the caveator’s interest in the land from being defeated without notice first being given to the caveator. For instance, prior to instigating proceedings in the Family Court, a person may lodge a caveat over the former matrimonial home, even if that person is not named on the Certificate of Title – provided that person can show they have a caveatable interest in the property. What is a caveatable interest? Prior to lodging a caveat on a property, you must determine if you have a caveatable interest in a property. We recommend you seek legal advice from an experienced family lawyer in this respect. By way of example, if during your relationship you contributed towards the mortgage repayments of a property, this may be sufficient to establish your caveatable interest in a property. 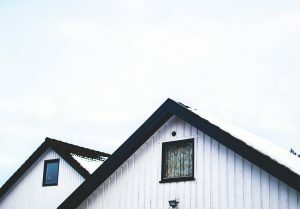 If you lodge without a reasonable caveatable interest, you could be liable to compensate the registered owner of the property if they suffer loss. This may arise if, for instance, the caveat hinders or delays the sale of land. Lodging a caveat can be a simple process but it must be properly drafted. The reason for the caveat should be defined correctly and supported by evidence. If it is not, then it may not be accepted for registration. Furthermore, if it is badly drafted, it can leave the caveator unprotected which may result in their rights being diminished. Provided a caveat sufficiently identifies the land and claims an estate or interest in it, entry on the Certificate of Title is almost automatic. It is effective once lodged. Caveats are not automatically removed from the Certificate of Title after a certain time. They can be removed at the relevant caveator’s request, and removal requires a further form to be completed and lodged. We recommend you seek legal advice from one of our experienced family lawyers at Culshaw Miller Lawyers in this respect. How does the Family Court determine if I can move away with my child? Cases in which the Family Court has to determine whether a parent can move away with a child are referred to as ‘relocation cases’. However, there is no specific class of case or any law which specifically deals with relocation issues. Like all parenting orders, the paramount consideration for the Family Court in considering a parent’s application to relocate with a child is the child’s best interest in all the circumstances. 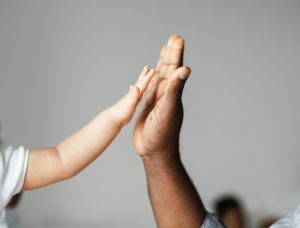 In determining same, the Family Court must have reference to the principles and objects of the Family Law Act 1975 (Cth) (and/or Family Court Act 1997 (WA) in Western Australia) and the mandatory consideration of what is in a child’s best interests. Accordingly, the determination of whether a party can relocate with a child is not a case of the Family Court determining that the party wishing to leave has to show compelling reason for doing so. What does case law say? 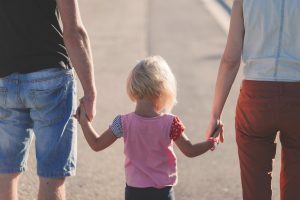 On that basis, the Family Court will look to the parties’ competing proposals for care, but will ultimately make an objective determination as to which proposal better accommodates the child’s best interests in all the circumstances. Not sure if you can move away with your child? Should you require further assistance in relation to a relocation application, we recommend that you seek legal advice from an experienced Family Lawyer at Culshaw Miller Lawyers. Parenting Plans – Are They Legally Binding? It is often a priority for separating parents to resolve the future care arrangements of their children. Parenting plans are documents that record the care arrangements of children, which parents will often sign and date. They are useful documents, and for many are enough to allow them to move forward with their lives. What most people do not realise however is that parenting plans are not legally binding documents. The reality is parties of parenting plans are not bound by law to follow them in the same way that they are obligated to comply with Court Orders. If a party contravenes a parenting plan, you cannot enforce it in the same way that you could if you had a legally binding arrangement. This is also true for seeking sanctions against the party who breached the parenting plan. Fortunately, you can formalise a parenting plan as a Consent Order. A Consent Order is a legally binding Court Order in the terms of a parenting plan. To apply for a Consent Order, you must file an Application for Consent Orders form with the Family Court. It is a straightforward process, so long as both parties agree. Generally, the Court will make the Consent Order without the need to attend a Court hearing. If a party breaches a Consent Order then the other can file a Contravention Application. This allows the Court to take further action to enforce the Consent Order, vary it or impose penalties. Contact Culshaw Miller Lawyers today if you require assistance with parenting plans or Consent Orders. Our family lawyers are here to help. Binding Financial Agreements; are ‘Pre-nups’ still useful following the decision in Thorne & Kennedy? Thorne & Kennedy  HCA 49 is a decision of the High Court of Australia whereby a Binding Financial Agreement, or ‘pre-nup’, was set aside. So what good are pre-nups if they can be set aside? To answer this question, it is important to understand the background to Thorne & Kennedy. In this case, the parties met on the internet in 2006. Ms Thorne was 36 years old, with no substantial assets, and at the time lived in the Middle East. By contrast, Mr Kennedy was 67 years old and held assets with a value of approximately $18 million. In February 2007 Ms Thorne moved to Australia, and on 30 September 2007 the parties were married. On 19 September 2007, Mr Kennedy informed his fiancé that they were going to see a lawyer to sign an agreement. Mr Kennedy informed his fiancé that if she did not sign the agreement, the wedding would not go ahead. Against independent legal advice, Ms Thorne signed the ‘pre-nuptial’ agreement pursuant to section 90B of the Family Law Act 1975 on 26 September; some four days prior to the wedding. Shortly after the marriage the parties entered into a ‘post-nuptial’ agreement pursuant to section 90C of the Family Law Act. Ms Thorne again signed against independent legal advice. The Agreements gave the wife a lump sum of $50,000 (CPI indexed) in the event of the parties’ relationship breakdown if they had been married for a minimum of three years. After four years of marriage, the parties separated and Ms Thorne applied to the Federal Circuit Court for the agreements to be set aside. Ms Thorne was successful at first instance, with the primary judge setting aside both agreements for unconscionable conduct and undue influence. The ‘publicness’ of the marriage. Mr Kennedy died during the proceedings and on his behalf his estate appealed the primary judge’s decision. This application to uphold the agreements was allowed. Ms Thorne appealed successfully to the High Court of Australia, with the High Court unanimously restoring the primary judge’s decision. So are Binding financial agreements enforceable? The short answer is yes, subject to many conditions being met. The Family Law Act 1975 (as amended) allows married and de facto couples to enter into a Binding Financial Agreement (‘BFA’) before marriage or cohabitation, during marriage or cohabitation, and after a relationship breakdown. 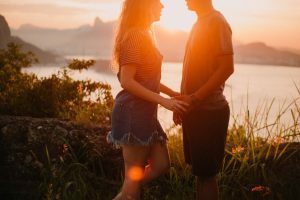 BFAs provide a way for people to protect their assets before getting married or entering into a de facto relationship and set out the division of the couple’s assets should they separate. Each party to the BFA must enter into the BFA of their own free will and be fully informed as to the advantages and disadvantages of entering into the agreement. Each party must receive independent legal advice about the BFA. For couples getting married, the decision of the High Court in Thorne & Kennedy strongly enforces the considerations parties must contemplate when entering into a BFA including that the parties should (a) ensure that any contemplation of a BFA should be done many months in advance of the wedding to ensure that there is ample time to prepare the document and negotiate the terms, and (b) that the parties must enter into a BFA only in circumstances where unconscionable conduct of a party does not exist. Wills predominantly deal with the financial side of your affairs, but did you know your Will can also make provision for the care of your child or children upon your death? 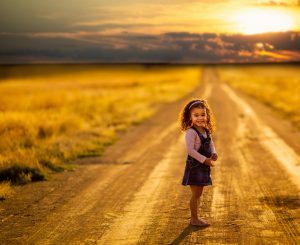 In Western Australia, a parent or legal guardian of a child may by Will appoint a testamentary guardian for a child or children under the age of 18 years. Children under 18 are often referred to in Wills as ‘minor’ or ‘infant’ children. The guardian is a ‘testamentary’ guardian because the guardian is appointed by Will which is a testamentary document. The appointment of a testamentary guardian only takes effect on the death of the last surviving parent or legal guardian of the child. The testamentary guardian’s appointment ends when the child attains the age of 18 years. Once appointed, the testamentary guardian is responsible for making long term decisions regarding the welfare and development of your child and also has the daily care of the child. • the relationship between the proposed guardian and the executor appointed under your Will. The executor of your Will has discretion to release funds from your estate to the testamentary guardian for the maintenance, education and advancement in life of your minor children. As such, the executor of your Will and your proposed testamentary guardian need to maintain a good relationship and work together in the best interests of the children. The appointment of a testamentary guardian is subject to the jurisdiction of the Family Court of Western Australia. 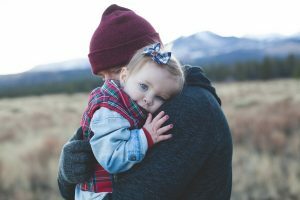 If there is a dispute about the appointment of a testamentary guardian, or if no testamentary guardian is validly appointed by Will, a person with a “sufficient interest” may apply to the Family Court for parenting orders in relation to a minor child. An application for guardianship may be contested if more than one member of your family wishes to become the guardian(s) of your minor children. The Court will take into account any wishes expressed in your Will as part of the decision about what is in the best interests of the child. 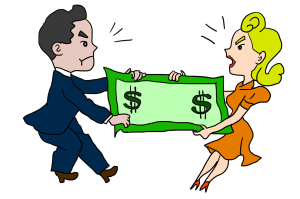 A Family Court application may also incur legal costs which are payable by your estate. 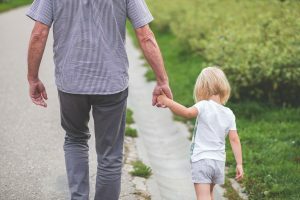 In order to make your wishes clear about who will look after your child upon your death, it is important to include a guardianship clause in your Will. • any needs which may be particular to each of your children. To make enquiries regarding appointing a testamentary guardian for your child or to speak to a member of our estate planning team in relation to your Will, please contact our office on (08) 9488 1300. Does Telling Someone You're In A De Facto Relationship Mean You Actually Are?